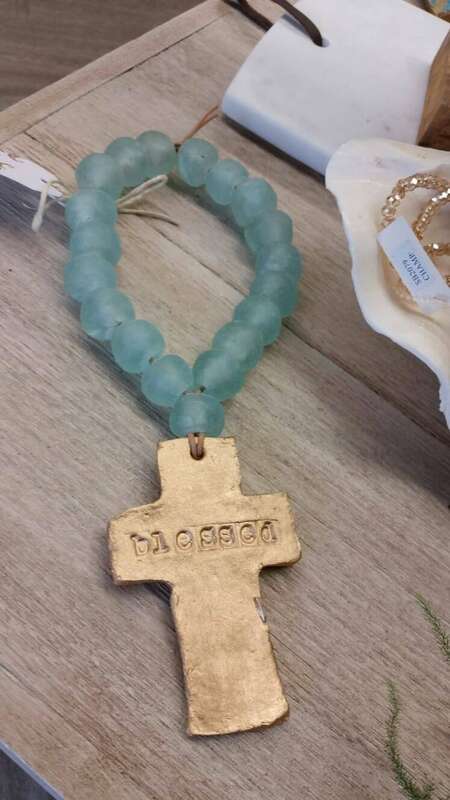 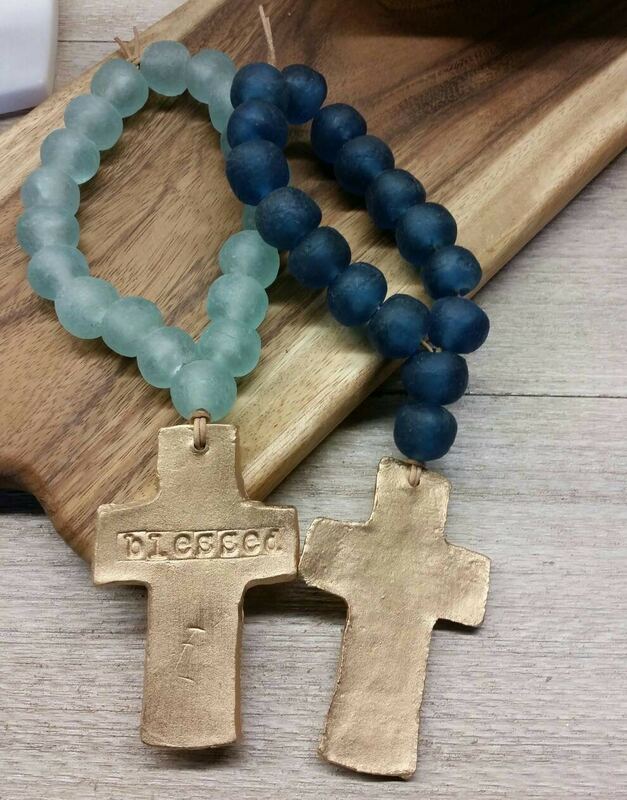 Recycled Sea Glass - Blessing Beads Handmade With Gold Leaf And Cross - Wedding Gift, Baby Gift, Housewarming Gift, Bridal Shower Gift. 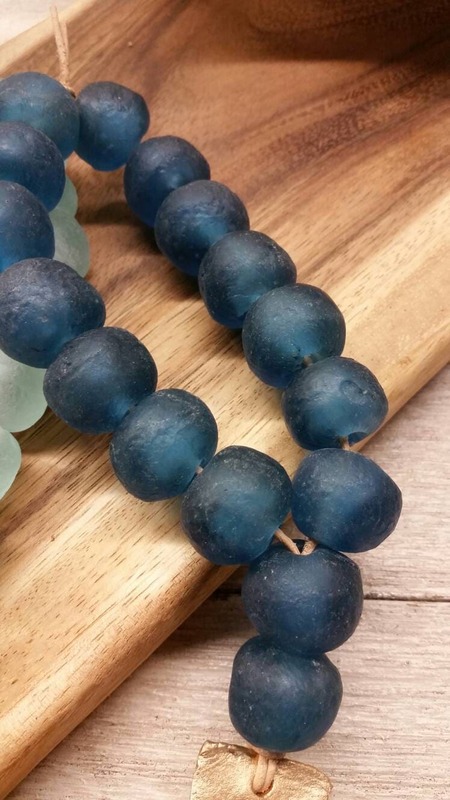 19 each Recycled 24mm Sea Glass Beads. 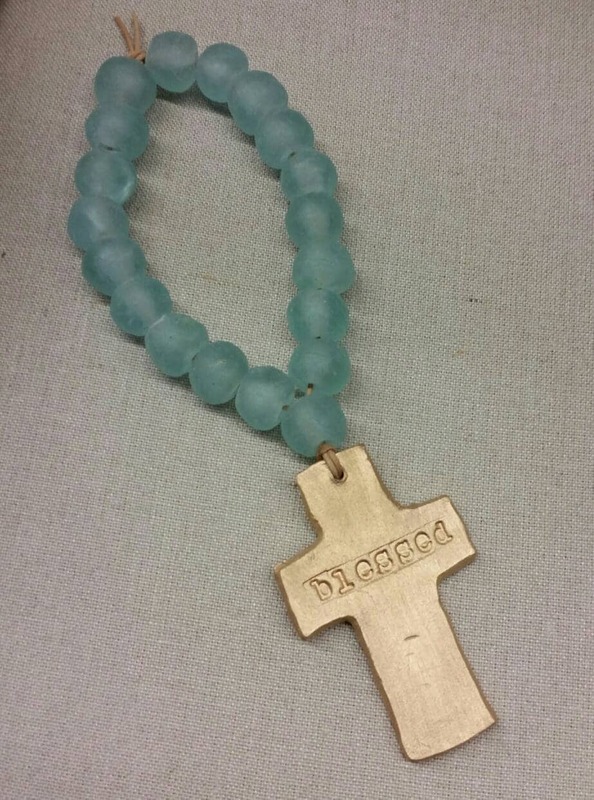 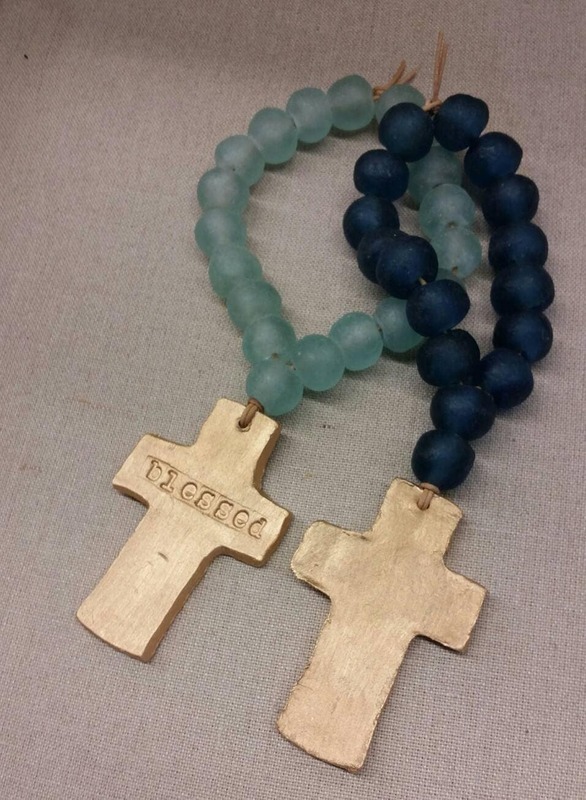 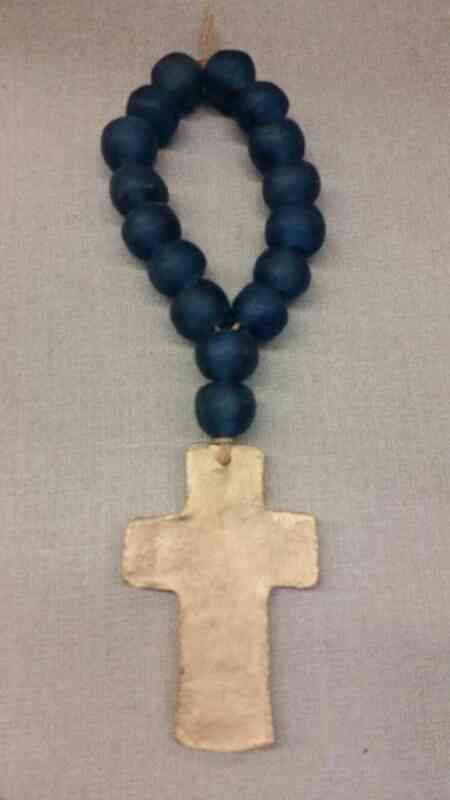 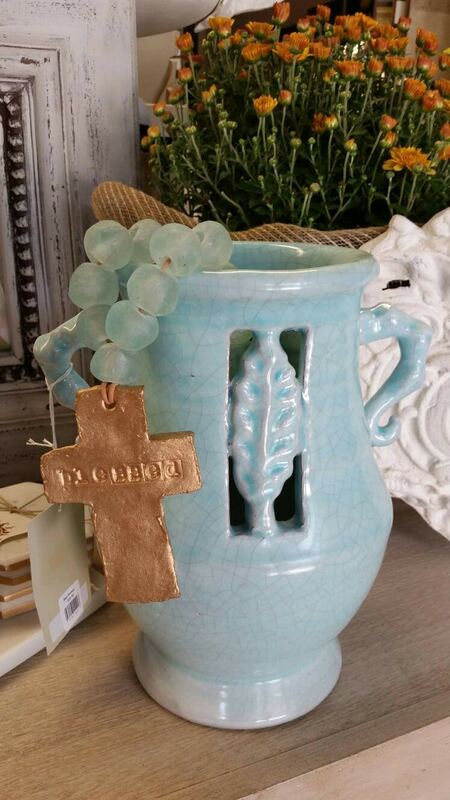 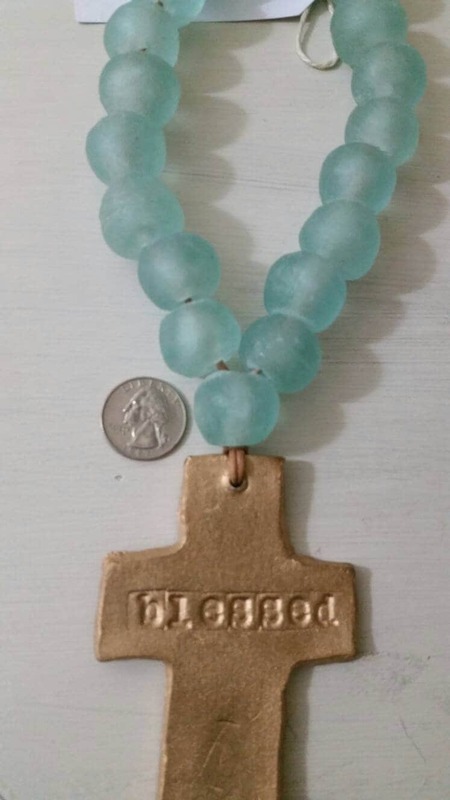 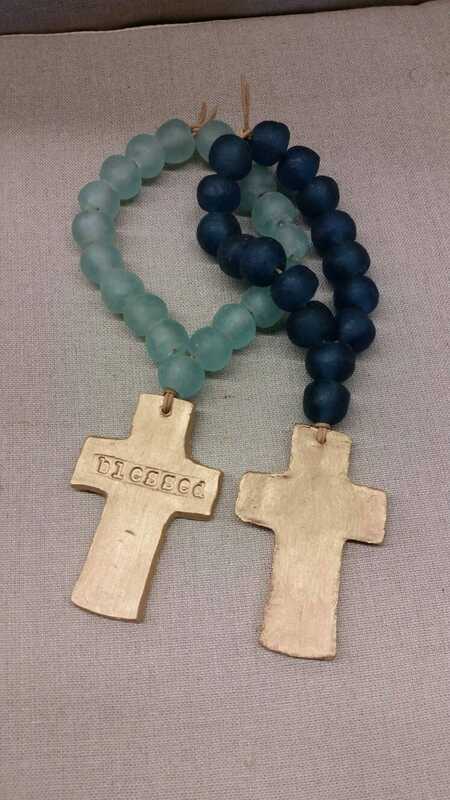 The handmade clay cross size is 4 1/2"ht x 3" wide and available with blessed or without. 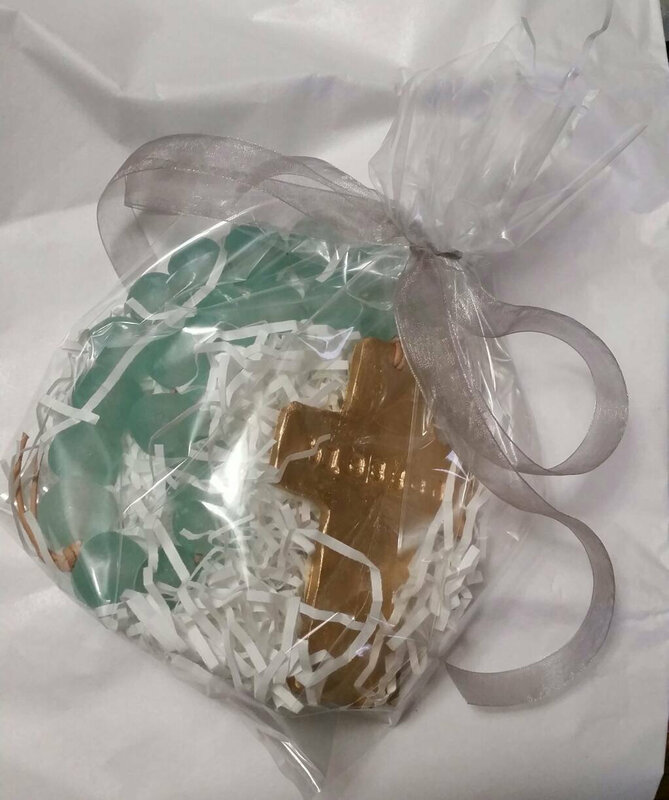 Comes wrapped in a clear gift bag with ribbon at no extra charge.